“One of the happiest days in my years as a dentist was when, about 10 years ago, I took our old X-ray processing machines to the dump for disposal and we introduced digital radiography to this practice,” says Dr. C. Michael Willock, one of the area’s pre-eminent holistic dentists. “This was a major and really thrilling advancement for our practice,” he exclaims. “Of greatest importance, the use of this new digital technology exposed patients to perhaps one-tenth the level of radiation of the old analog X-rays. “And these new devices out-perform their predecessors in every way. They are faster, easier to use, much easier to read, and they allow us to capture images in the computer where they can be enhanced, enlarged, emailed— whatever we need to do. And they are so much better for the environment. Over time, we poured many hundreds of gallons of highly toxic developing and fixing chemicals down the drain as we processed X-ray films. “A second major digital step forward for us came with introduction of the CEREC machine. CEREC is an acronym for Chairside Economical Restoration of Esthetic Ceramics. It allows me to rapidly produce a ceramic dental restoration using a number of computer technologies, including 3-D photography. With CEREC, I can restore a tooth in a single sitting in a matter of minutes. 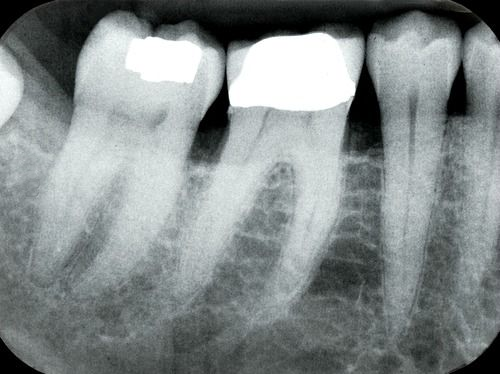 “Initially, I have to prepare the tooth for restoration, in the shape we want to accomplish. It needs to be free of all decay and be prepared for an impression. But the impression is light years ahead of the gooey, sticky materials we used for years. Instead, we put a tiny infrared camera in the patient’s mouth, and the ‘impression’ is actually taken in the form of a photograph. “The image is rapidly available to me on a computer screen, where I can manipulate it and draw a precise outline of the restoration that’s needed, design the restoration in the computer, and then simply push a button and send a wireless signal to the built-in milling machine. It starts with a small block of porcelain about the size of the end of your little finger, and it custom mills that restoration in about 15 minutes. Then we can place it and permanently fix it in place. “Compared to prior practice, we would make an impression with the gooey materials, let it harden and then send it off to the lab and get a final product in about two weeks. Meanwhile, we had to place a temporary filling for the patient, which would need to be removed so that we could bond the new restoration. It’s a bit like moving from a horse-and-buggy to a jet plane. “We’re working with a lab in Colorado Springs, possibly the only one of its kind, which is providing us with dental DNA information, using digital technology, based on the toxicology of root canals,” reports Dr. Willock. “Typically, we may extract a tooth, or provide a swab, and put it in a special container and send it off for DNA analysis. Dr. Willock—traditionally trained as a dentist at UNCChapel Hill—is relentless in his pursuit of knowledge on behalf of his patients. He is an accredited member of the International Academy of Oral Medicine and Toxicology (IAOMT), and completed an 83-hour post-graduate course in environmental medicine at the Southwest College of Naturopathic Medicine, in Scottsdale, Arizona.